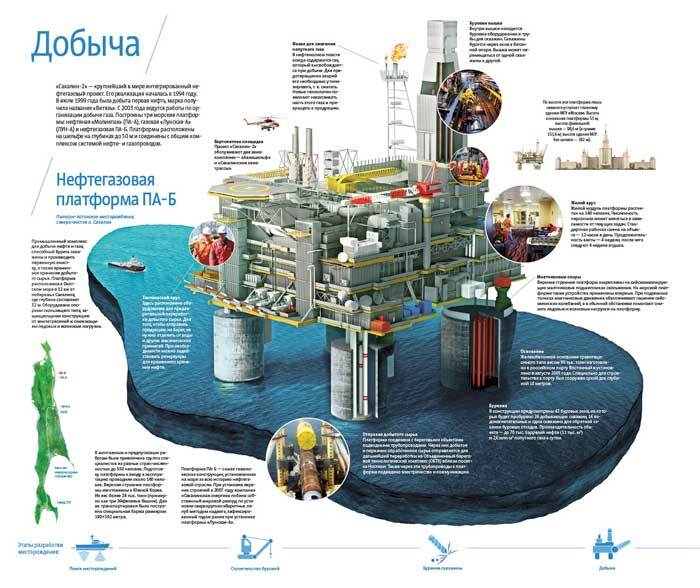 Creating 3D model of PA-B gas platform. 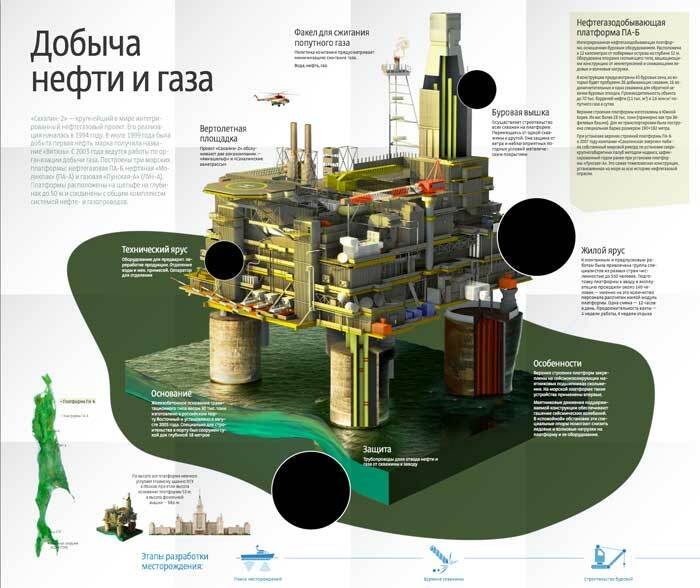 One of the draft layouts featuring the 3D platform image. 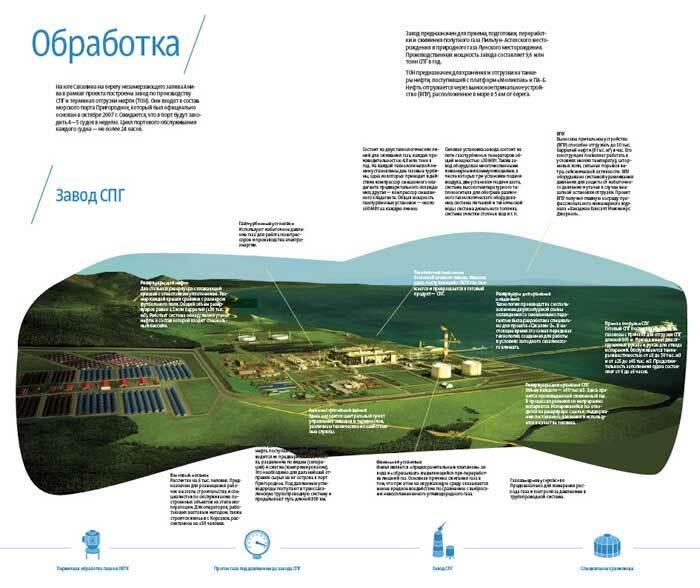 Looking for the right way to illustrate LNG production plant that processes the gas delivered from PA-B. 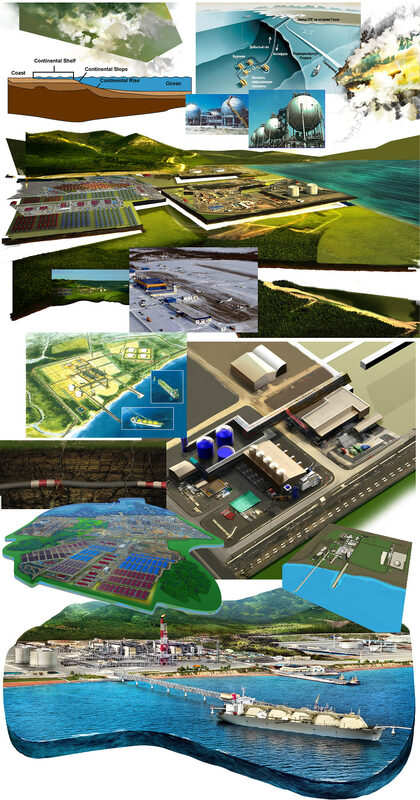 One of the draft layouts featuring the plant image. 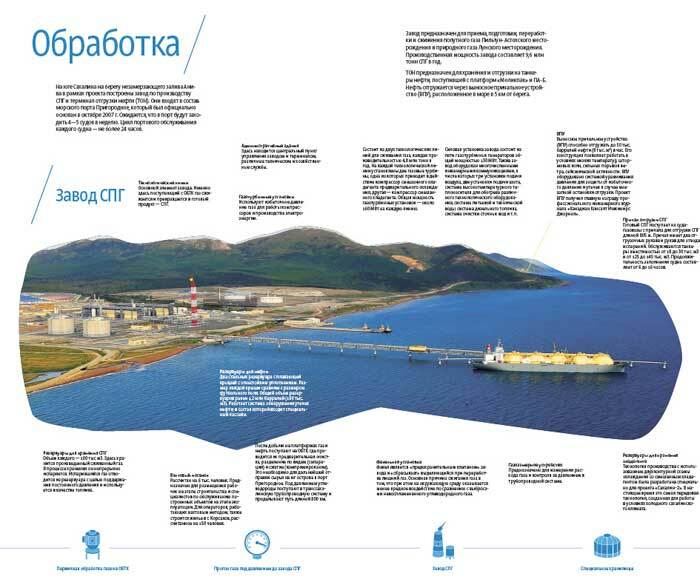 One of the draft layouts featuring a different image of the plant. 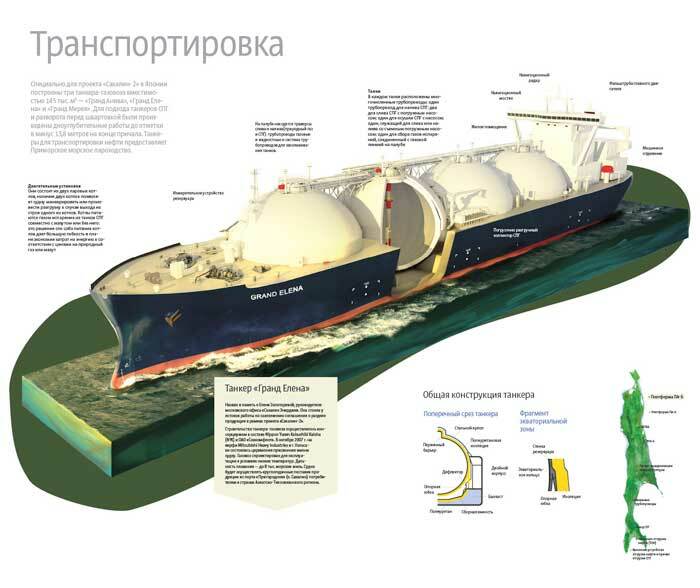 Another draft layout featuring yet another image of the plant. 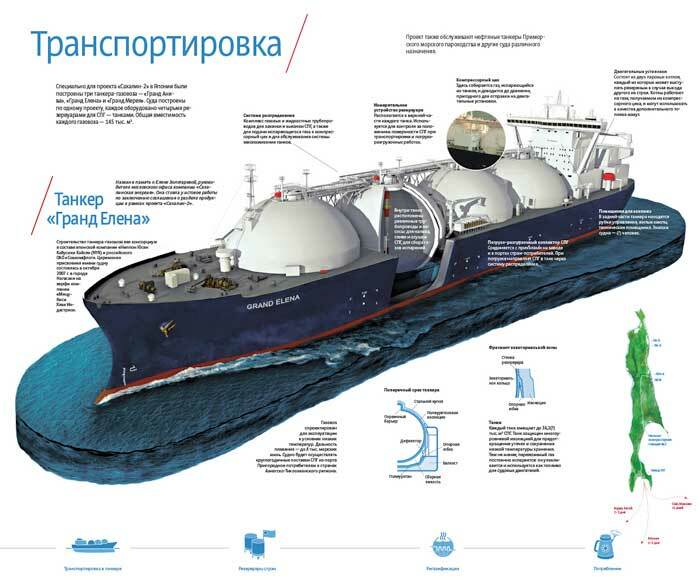 Looking for the best illustration of LNG tanker Grand Elena that carries liquefied gas from the plant. 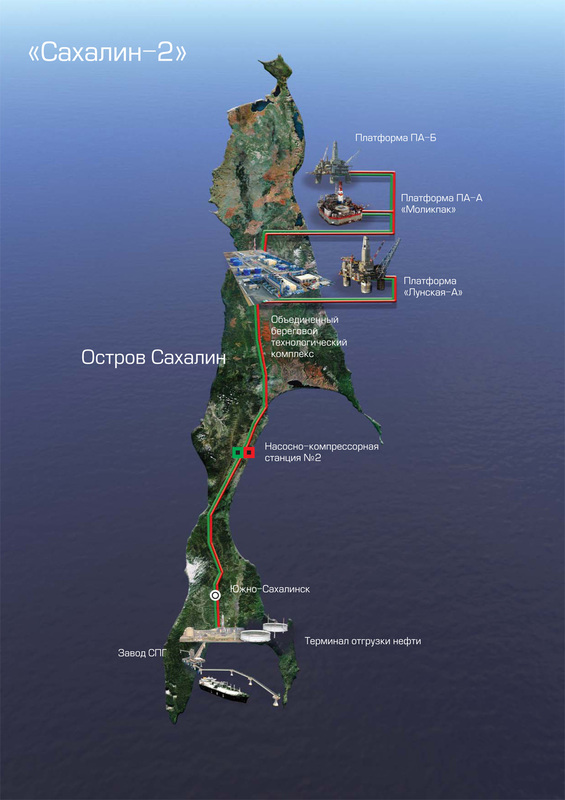 One of the draft layouts featuring Grand Elena. 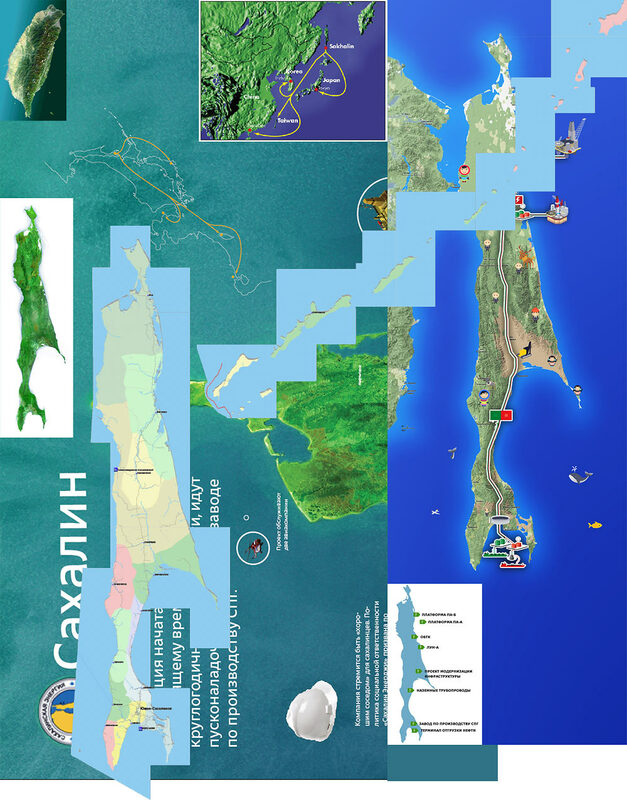 Searching through images of the Sakhalin island. Here is the initial image of the island. 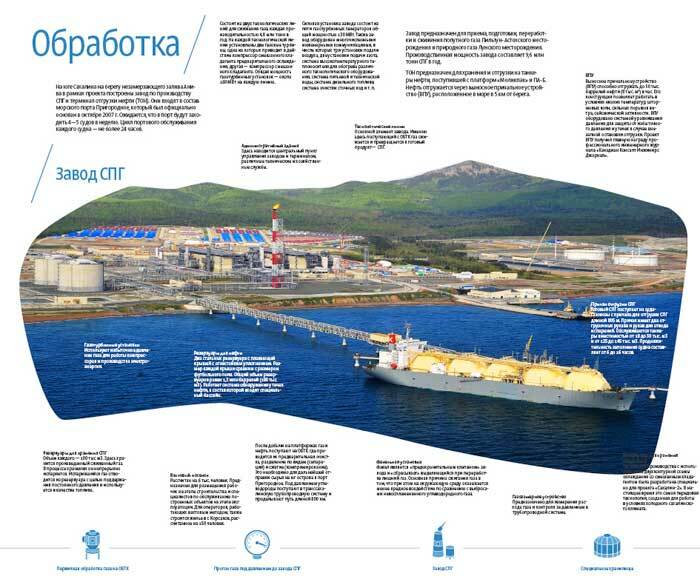 Early draft of the 3-page spread featuring the platform that produces the gas, the plant that processes it, and the carrier that transports it to buyers. The same spread some time later. At this point the design is up for general cleaning, bug hunt, graphic tidying up, incorporating new elements, and hundreds of other procedures.